On April 3, 2018, Breitbart News reported that Deerfield was not only banning said weapons but empowering its chief of police to confiscate them and destroy them. He would also be empowered to confiscate and destroy “high capacity” magazines. 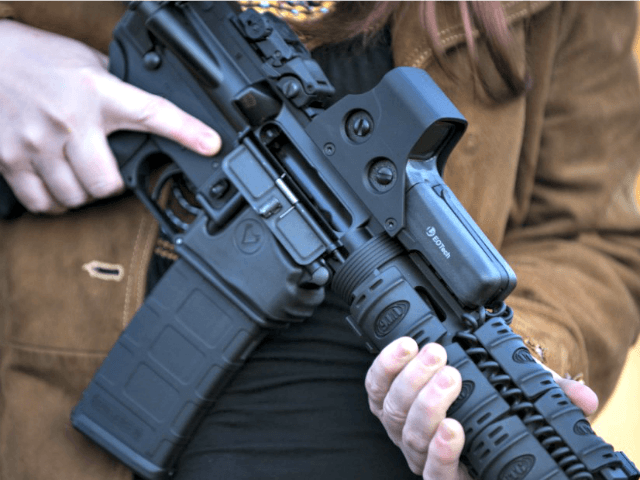 On April 5, 2018, Breitbart News reported that SAF filed suit against Deerfield, claiming the village’s “assault weapons” ban violated Illinois’ preemption law. SAF’s lawsuit was joined by the Illinois State Rifle Association and Deerfield resident Daniel Easterday. thank you for posting this, I forgot to check yesterday. Anti's have given up on the lie, and are now brazenly suggesting they do want to take your guns. It's a step forward in a way. I feel the majority of of the country sways towards the 2A, but the wishy-washy ones will agree with the libs when they say all they want is "common sense" (I hate that phrase with a passion no matter what the context because of its inherit pretentiousness) gun reform. When they admit to confiscation I do believe they lose supporters. 2A supporters are incredibly apathetic to supporting THEIR rights. Anti 2A are incredibly mobilized and focused.